Said the brown cat to the Toons of Toontown, do you see what I see? That's right, Toontown -- there's a new decorator in town! I tried to score the job last year, but much to my surprise Sir Max stole the crown. I had written a 14 page paper to show off my skill for the job, but It turns out that I mixed up that paper with my letter to Santa! That explains why Flippy knew exactly what I wanted for Christmas... Santa was really impressed with it, though! As you can see, all around Toontown we've got trees and lights o' plenty -- and not a fire hazard in sight! I mean, probably. Do you think it's okay to plug three power strips into each other? Anyway, every area in Toontown has been decorated for the Christmas season! I hope you enjoy the decorations -- check back every day until December 26th to see just how wacky our winter gets. 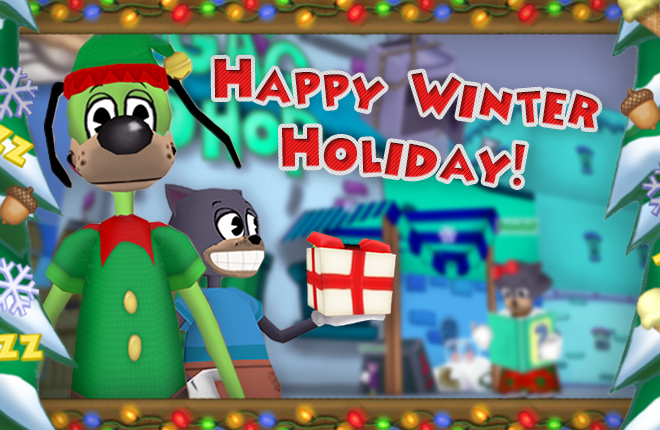 Happy Winter Holiday, Toontown! Cough cough Sure... it's not a fire hazard - cough cough and I'm not coughing from the smoke. And - cough cough I'm definitely not being sarcastic or anything. To start off I would just like to say Merry Christmas everyone! And I am just too excited to speak about Christmas in ttr. 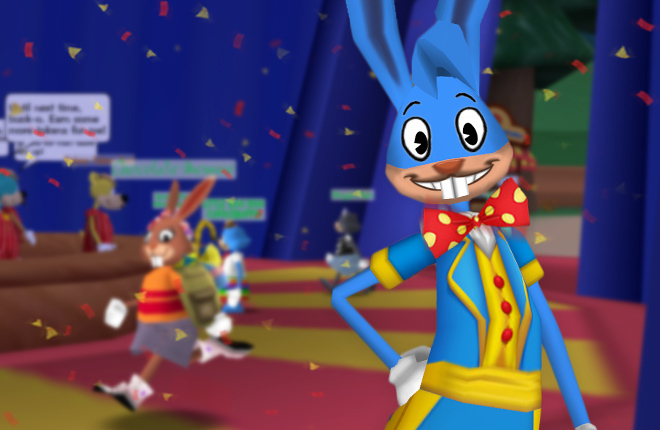 Ttr staff has just worked so hard I would like to give a big thanks to all of them for all of everything they do for their more then 1 million players. Ttr is looking so festive and beautiful i absolutely love it! Thanks for all your hard work ttr staff now and forever love you!!! Ah, I was worried Sir Max was the one who decorated again. Maybe this time we won't get a blizzard. I'm happy that every year Toontown gets into the holiday spirit! Welp time to get a giant christmas photo withh all my main toons. Woo! So excited for all the 12 days of winter! Toontown Christmas is awesome!! This is the going to be soooo sweet! I fan, you fan, we all fan. I'm a big fan man. I can't wait too see what it's like on Christmas Day! I live on a street with a MASSIVE Christmas lights display and there are like 5 things plugged in to the outlet on my porch. You're fine. 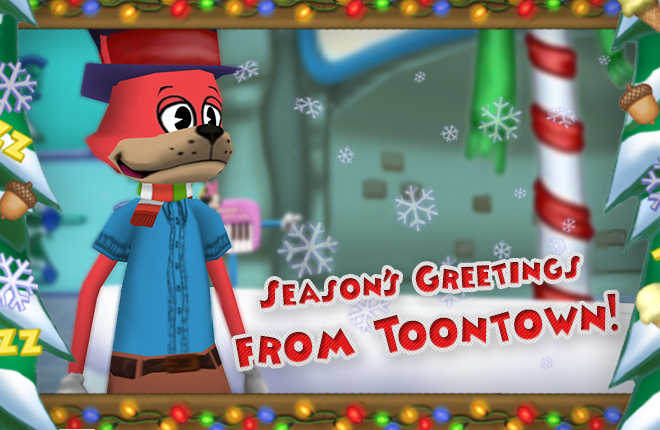 Toontown is my favorite game, and Christmas is my favorite holiday! This will be the best Christmas yet!! COOL! i waited so long for this! MERRY CHRISTMAS!!! Wonderful! I love Christmas decorations, in-game and elsewhere. Thanks for restoring holiday spirit to Toontown, Hawkheart! The lights are very decorative! Awesome! I love Toontown during the holiday season! Woo! Toontown Christmas is almost as fun as in real life! I hope the rest of these merry days are perfect! Christmas is the best holiday, especially in toontown. 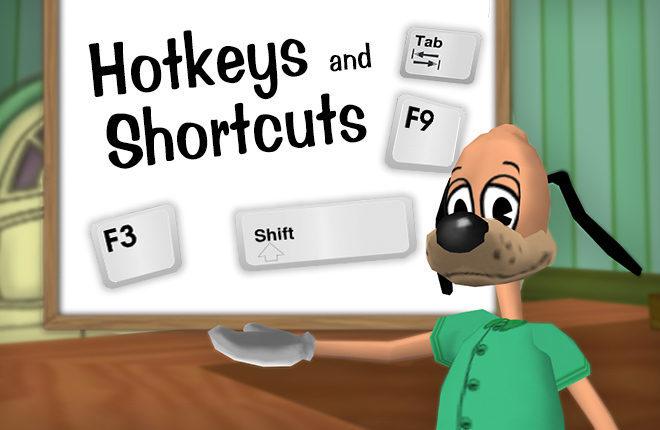 I love Toontown's 12 days of Christmas! I can't wait to see what is in store! Merry Christmas! I am so happy Christmas has come to Toontown :D I Love seeing lights and decorated trees light up my favorite animated game! This is my first Christmas in TTR. I've never seen the decorations before but I love them. Happy Holidays! I like the decorations but I hope you consider decorating areas like goofy speedway and chip'n dale's acorn acres it will look gorgeous if you do that but anyhow I can't wait for what you have for this Christmas season. Merry Christmas to all toons far and wide! Lookin forward to the decorations that are always fab every year (hopefully there won't be another snow blizzard catastrophe)! i really hope that toontown dose not catch on fire but the lights are wonderful!!!! 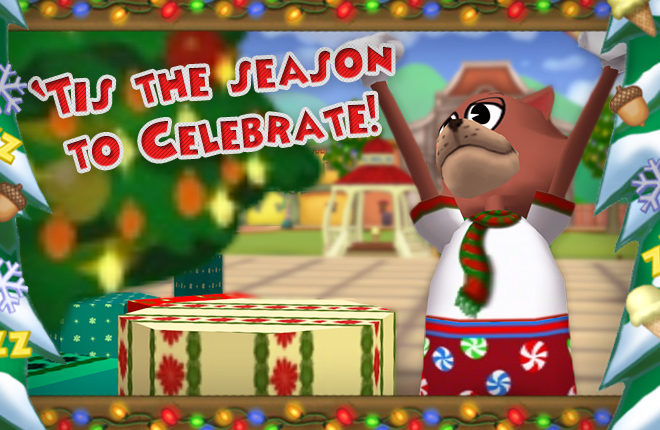 Celebrating with Toontown's 12 Days of Winter!